The new Embassy Suites by Hilton Houston West Katy hotel is located just south of Interstate 10 about 10 miles from Katy Texas. 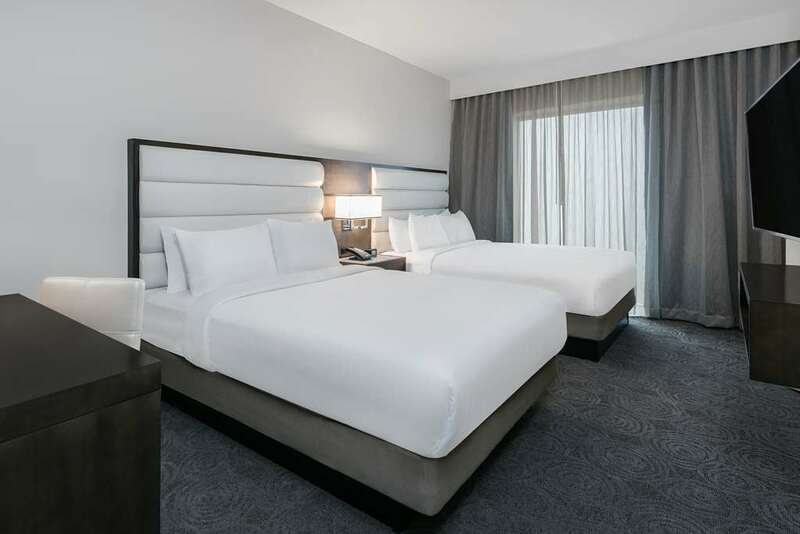 Stay at our all-suite hotel to enjoy convenient Energy Corridor access free made-to-order breakfast and Evening Reception* daily plus a microwave and mini-fridge in your suite. Our west Houston hotel*s second floor is dedicated to meetings and events with 7 000 sq. ft. of flexible space. Invite up to 350 guests to your wedding in the Rice Ballroom or take advantage of the business center for last-minute changes to the schedule of your mid-sized conference. Parking is complimentary. The 24-hour fitness center features the latest cardio equipment and the George Bush Hike and Bike Trail is just behind the hotel. Take advantage of our relaxing indoor pool. Unwind with a local lager after a long day. Embassy Suites Houston West Katy offers a lobby bar restaurant and room service. Other amenities include premium suites and a 24-hour convenience market. Shops restaurants and entertainment venues are just a short ride away on our complimentary shuttle which travels within five miles of the hotel. Situated about 30 miles from both of Houston*s main airports our extended stay hotel is close to Katy companies the Merrell Center and Baseball USA.